Saying “so long” to sweet summer strawberry season can be saddening but as berries make their way out, sunny peak seasoned citrus can fill your fruit fancies. Maybe grapefruit, however, isn’t normally your top citrus treat. Grapefruit can bring memories of puckered lips from tart bits and swollen eyes from a stray juice stream. Well, honey, drop the sugar bowl and try Wonderful brand Sweet Scarletts – Pink Texas Grapefruits – to challenge your grapefruit gripes. 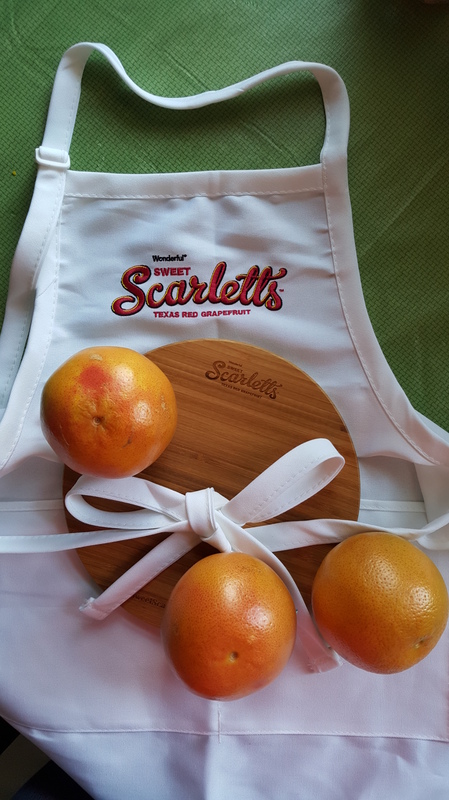 Sweet Scarletts are not only juicy and sweet but a half grapefruit has only 60 calories and 100% of that vitamin C you need to fend off winter colds. Grapefruit isn’t limited to your breakfast meal either. Actress, author, and host of The Real Girl’s Kitchen on Cooking Channel, Haylie Duff, partnered with Wonderful to create several Sweet Scarlett recipes to sweeten up your holiday. 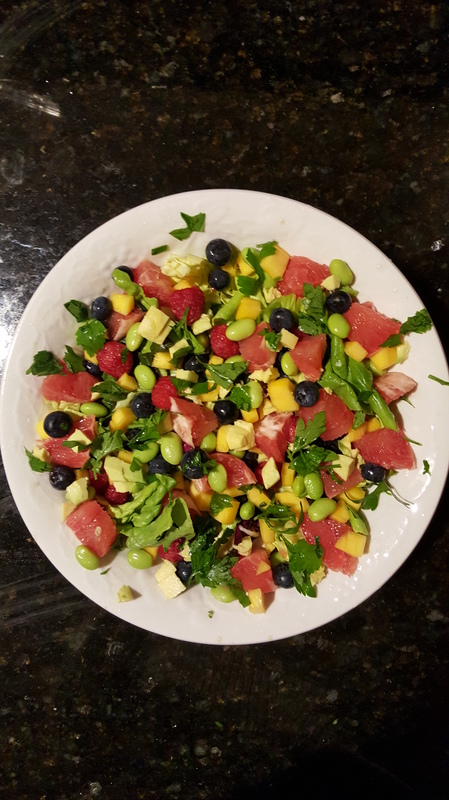 Here is the Haylie Duff recipe we chose to make and gobble down! Or if you can’t wait, you can buy Sweet Scarletts or other Wonderful brand products like, the famous Pom Wonderful pomegranate juice, Wonderful pistachios, and Wonderful Almonds at local spots like Jewel-Osco or Target. I would make a Grapefruit breakfast bread. I would make a grapefruit bread pudding! I would make the Wonderful Sweet Scarletts Grapefruit BBQ Chicken Skewers! I’d make grapefruit sorbet and make candied grapefruit peel and add it chopped to the sorbet! I’m not sure but I would love to make a salad like yours. I would make a grapefruit salad. Yours looks amazingly good. Great quality pictures of impressive food. This salad looks delicious! 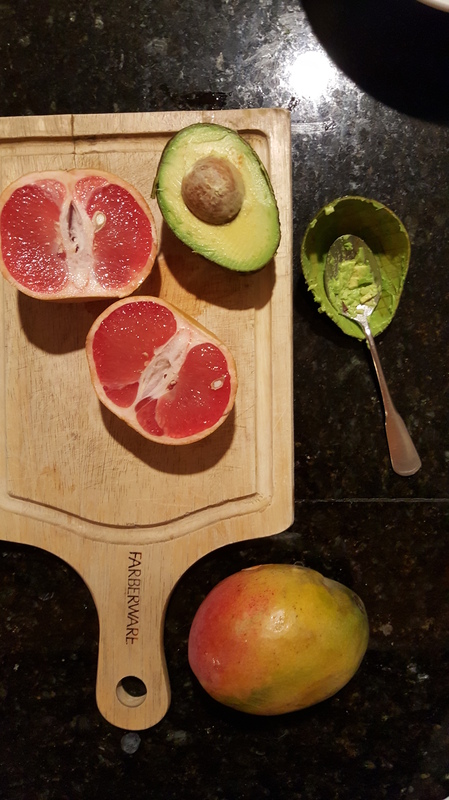 I love grapefruit and avocado together. I would love to try the salad you made it looks amazing! I would definitely want to try to make a vinaigrette. 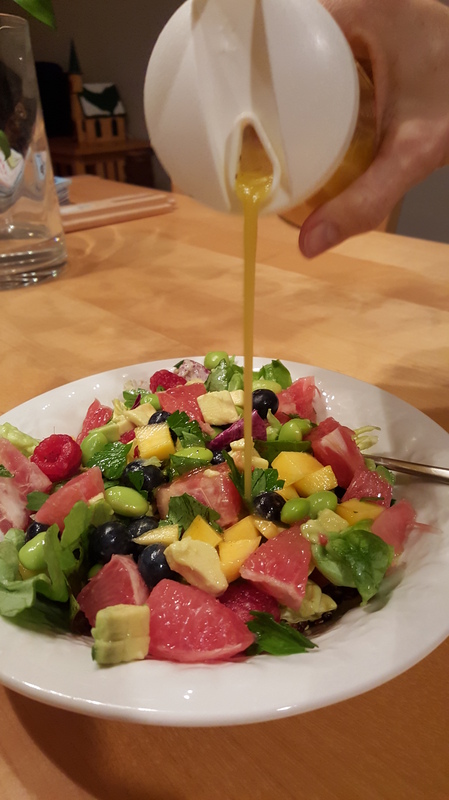 I love the combination of acidic fruit dressing on my salad. Your salad looks wonderful! I would love to make the Grapefruit-Miso Vinaigrette, too. I would like to make a salad like yours! I like to put grapefruit into a fruit salad. I would make this grapefruit salad first. it looks amazing. I’d make a grapefruit and strawberry salad! I would like to make the sweet scarletts grapefruit brulee with sweet ricotta. I would make the salad. It looks so good and refreshing. It would also be a great addition to a lower calorie diet. I would like to try the Scarletts Grapefruit Salad. Also, I would like to make Grapefruit Ice Cream. It really is delicious. Wonderful Sweet Scarletts Grapefruit BBQ Chicken Skewers look delicious! I would love to make that for my family. 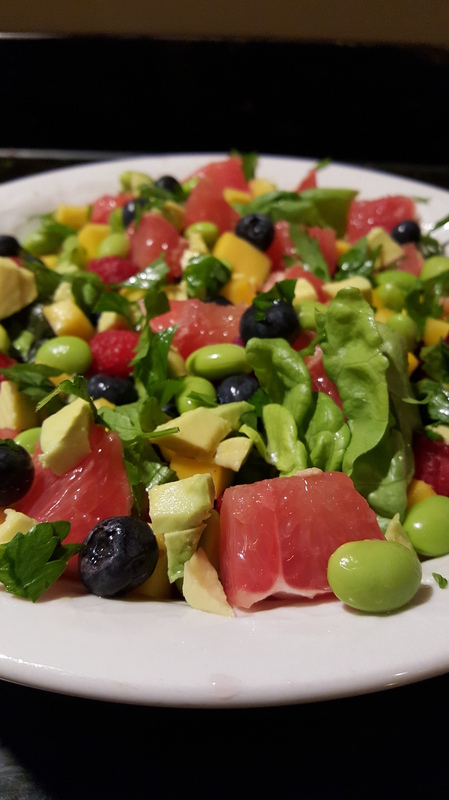 I would make the Wonderful Sweet Scarletts Tropical Grapefruit Salad. I would make a spinach salad with walnuts and beautiful grapefruit slices. I would make the salard. I would make sweet scarletty’s grapefruit bbq chicken skewers. I think they would be a hit with my family. I want to make the tropical grapefruit salad. It looks delish! I would love some fresh grapefruit juice! I might try to make my own graoefruit juice. I have made orange but never pink grapefruit. I would add the grapefruit to salad. They look delicious! I would add it to a smoothie! My favorite is cutting right in half and sprinkling on brown sugar and then broiling. Delicious! Mmmmm….I would either use the grapefruit in a fruit salad or make the recipe for BBQ Chicken Skewers. The recipe looks super yummy. No recipe to speak of,,,,,,I just peel and eat like an orange….LOVE THEM!! I’d make a winter fruit salad with grapefruit, kiwi, orange, and pomegranate. I would just add a little cottage cheese and make a fruit salad! I would make a grapefruit tart..